G1winner Seabrook (r) will race without blinkers as she takes on Verry Elleegant in the Vinery. 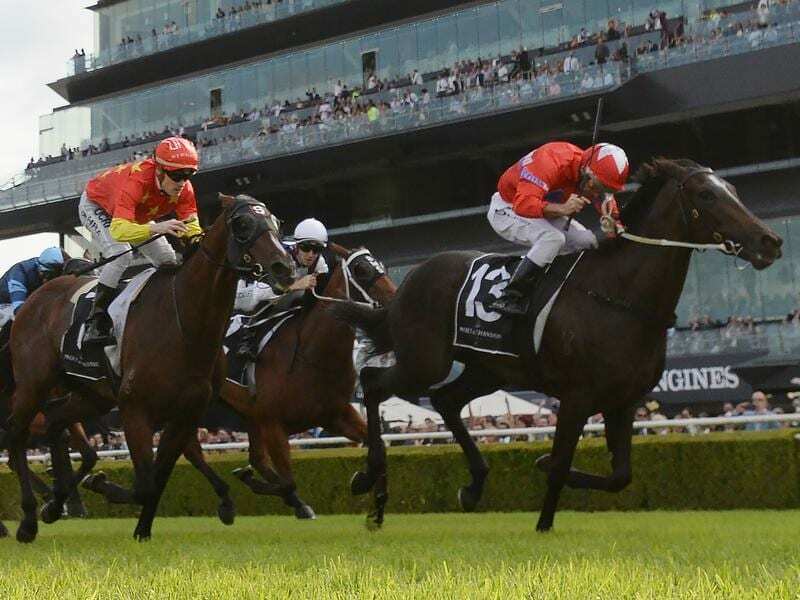 Mick Price isn’t sure if Seabrook can turn the tables on last-start conqueror Verry Elleegant and deliver him consecutive wins in the Vinery Stud Stakes, but he has taken measures to give her a fighting chance. “Verry Elleegant beat her fair and square the other day and Verry Elleegant is probably going to win again,” Price said. Her sire Hinchinbrook is best known for producing sprinter-milers but Price points to stoutness on her dam’s side as an indication Seabrook might have the stamina for a middle-distance. Brett Prebble was aboard Seabrook for her first-up midfield effort in the Surround Stakes and reunites with the three-year-old in Saturday’s Group One event. “I think there’s a good opportunity for there to be a bit of speed on, enough speed from that gate so that we can poke in somewhere,” Price said. Price also has Oregon’s Day in the Group Two Emancipation Stakes but says the mare will not line up if the track is heavy after struggling in similar conditions when sixth in the Coolmore Classic. “Michael Walker got off and said she felt like she was going to be in the finish but then the wheels were spinning on the heavy track,” Price said.